How do I go about investigating the possibility of becoming a commercial meat chicken farmer in Australia? We get a steady stream of inquiries from people who are potentially interested in becoming involved in our industry as a grower of meat chickens. There is much information available and this section provides some links to assist you in exploring this opportunity. For those interested in the broader job and career opportunities offered by the Australian chicken meat industry, we recommend that you consult this careers flyer. It is important to familiarise yourself with the way the chicken meat industry operates in Australia because this will have an impact on your options. In essence, chicken farmers work under long term contracts to a specific processing company who provides the one day old chickens, the feed and the veterinary and other technical services and support, and arranges for the chickens to be collected when they have been grown to harvesting size. More detailed information about opportunities and the requirements to be met by chicken farms are available from the relevant State department responsible for agriculture. In Queensland, a good starting point is http://www.business.qld.gov.au/industry/agriculture/animal-management/starting-meat-chicken-farm/about-queenslands-meat-chicken-industry. In NSW, the Department of Primary Industries provides information on a range of issues pertaining to poultry farming (see here). 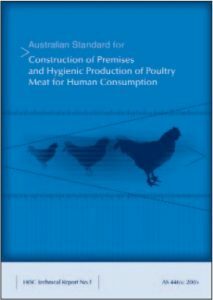 For parties potentially interested in becoming a commercial chicken farmer, the NSW DPI provides detailed Best Practice Management Manuals for meat chicken farming, which can be found at https://www.dpi.nsw.gov.au/animals-and-livestock/poultry-and-birds/poultry-planning-and-keeping/planning-for-poultry-development/bpm. In SA, http://www.pir.sa.gov.au/ gives access to a range of guidelines and legislation. In Victoria, the Agriculture Victoria website provides information on the industry in the state and relevant legislation: http://agriculture.vic.gov.au/agriculture/livestock/poultry-and-eggs. A Code for the establishment and operation of chicken farms in the state of Victoria has also been developed, which sets requirements for the (a) siting and size of broiler farms, (b) application of best practice in the design, construction, operation and management of broiler farms to satisfy relevant environmental standards, (c) preparation, assessment and determination of broiler farm development proposals through the planning permit system, and (d) ongoing monitoring of broiler farm operations through routine audits. This Code has recently been revised and is available here. In WA, a range of resource materials and list of legislation relevant to the poultry industries is available at https://www.agric.wa.gov.au/livestock-animals/livestock-species/poultry-birds and in Tasmania, information can be found at http://dpipwe.tas.gov.au/agriculture/animal-industries. For contact details for chicken growers’ associations in Tasmania, SA and WA, see http://acgc.org.au/contact. As commercial meat chicken farming is almost exclusively done under contract to a chicken processing company, where the processor provides the birds, feed and veterinary care and the contract farmer provides the housing, day to day management of the farm, water, gas and electricity and, in return, is paid an agreed fee per bird, it therefore makes sense to talk to a processor in your area to see if they are interested in expanding production. Contact details for the major chicken processing companies can be found here. However, be aware that the investment required in establishing a commercial chicken farm is large and there is no special government assistance available. The ACMF is often approached for advice on how to set up a small meat chicken rearing business. One of the first questions we are asked is usually where day old chicks can be sourced from, or where to purchase feed. However, the more important question for most people considering embarking on such a path is where they are going to get their chickens slaughtered and processed. This is usually the biggest hurdle encountered. Unless you own your own registered abattoir, your options for getting chickens that you rear slaughtered and processed are very limited. Biosecurity risk – most poultry processors have their own chicken farms supplying to them and are unwilling to take on the risk of receiving into their plant chickens with an unknown disease and pathogen status. Food safety – taking chickens into their plant from sources they have no control over and no knowledge of their health status presents a significant food safety risk to chicken processing companies. Food safety pathogens entering plants from one source can easily result in contamination of a whole day’s product. Past experience has proven that chickens from sources independent of the company often arrive at the plant with their crops too full (a significant food safety hazard), or the birds are not sufficiently uniform in size for their equipment set-up to safely process and clean them. Animal welfare – taking chickens into their plant from sources they have no control over presents significant animal welfare concerns and challenges for chicken processing companies. In particular, if the size of the incoming chickens is unknown, or the chickens are not sufficiently uniform in size for their equipment set-up, the effectiveness of the stunning and killing procedures can be significantly compromised. Cost / viability – it is extremely costly to stop the processing line or interrupt continuous processing so as to be able to introduce and trace a small run of additional chickens. The cost of doing this is rarely viable for either the processing plant or the supplier of the chickens. There are a couple of ‘custom’ abattoirs/processors in most states who may be able to process small runs of chickens. They will charge a significant fee per chicken for doing this, which will depend on the number of chickens required to be processed in a single delivery. To find out who may be able to do this, we recommend contacting the food safety regulator in your state. They are listed in the links below. In Australia, we mostly use two hybrid meat chicken birds: Ross and Cobb. To find out more about these strains see http://www.aviagen.com/ or http://www.cobb-vantress.com/. Please note that we are unable to provide assistance to people seeking to source small numbers of day old meat chickens. enquire at your local rural or produce store. Poultry feed for commercial operations is often formulated in the chicken processing company’s own feed mills and is carefully balanced to meet the exact needs of the chickens at each stage of development. You can see a typical composition of a meat chicken diet on our website. For small scale and backyard meat chicken production, we suggest you enquire about a suitable bagged feed for meat chickens from your local rural or produce store. Larger commercial chicken producers may be able to source feed direct from a commercial stock feed manufacturer in bulk. Contact the Stock Feed Manufacturers Council of Australia for suggested suppliers. Commercial chicken producers (i.e. those intending to produce chicken meat for sale) also need to meet the requirements of the national Primary Production and Processing Standard for Poultry Meat. The standard creates legal safeguards for growing live poultry and requires poultry growers to identify and control food safety hazards associated with poultry growing. For more information, see here. Implementation of these standards is done at the state level, and commercial chicken meat producers need to check with their state food safety regulator as to what their obligations and requirements are (see links to food safety regulators in the states in the links section below). If you are intending to establish a chicken farm or run backyard meat chickens, you should also check with your local Council to make sure that such operations are permitted in your area. You may also require development consent to establish a commercial (or even non-commercial) chicken farm. The guidelines as to who must apply for development consent (i.e. make a development application) to keep poultry on their property and what restrictions apply vary between states. We recommend that you contact your state Department of Agriculture / Primary Industries or local council for guidance in this respect. All persons who keep poultry, regardless of whether as pets, to meet the household’s own requirements or as a commercial enterprise, must abide by animal welfare codes of practice and standards and animal welfare legislation in place in every state. Further information on Welfare Codes of Practice and Standards relevant to meat chickens are available elsewhere on this website, and we would also recommend that you check the animal welfare regulations that apply in your state by visiting the websites of your state Department of Agriculture / Primary Industries, which are provided in the links section below. Finally, all parties who keep poultry must abide by state biosecurity legislation, which is designed to protect Australia’s status with respect to disease and pests. Again, we recommend you check your obligations in this respect by visiting your state Department of Agriculture / Primary Industries, which are provided in the links provided later. A useful resource to assist keepers of small numbers of poultry, whether for enjoyment, as a hobby or for production of poultry products for their own household’s consumption, to understand some key principles of biosecurity can be found here. Biosecurity/quarantine is an integral part of any successful poultry production system. Biosecurity refers to those measures taken to prevent or control the introduction and spread of infectious agents to a flock. Such infectious agents, whether they cause clinical or sub clinical disease, significantly reduce the productivity, profitability and long term financial viability of a poultry operation. Biosecurity is an essential element of good animal husbandry practice. 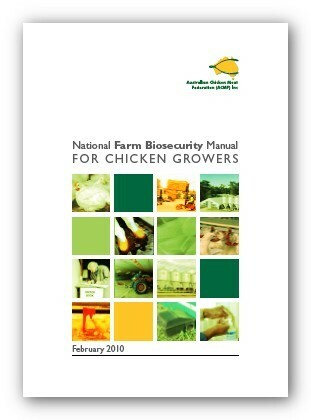 Since 2002, the meat chicken industry has had a national biosecurity manual for contract chicken growers which in was substantially updated in 2010. It is currently undergoing its second revision, and the new manual is expected to be approved by mid-2019. Biosecurity is about managing risk to meet the objectives stated above. It is essential that a risk assessment be conducted for each farming enterprise to establish what level of risk exists in each phase of its operations, and introduce measures appropriate to these. 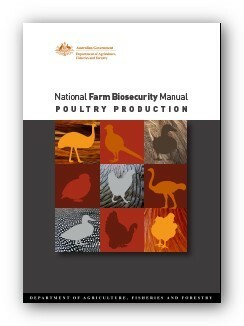 The current version of the National Farm Biosecurity Manual for Chicken Growers is available by clicking here or on the picture at left. This is the manual that all chicken growers should have on hand and adopt, as it is specifically targeted at the meat chicken sector of the poultry industry. A revised version of this manual will be published on the ACMF website later this year. To learn more about biosecurity practices adopted in the chicken meat industry, or to get a better understanding of how to implement the provisions of the Biosecurity Manual on your farm, there is a farm biosecurity video resource available to all. Click here to view this video. For further information on farm biosecurity, you may want to check out the farm biosecurity website set up by Animal Health Australia. You can also purchase farm biosecurity signage from this site. For the poultry industries more generally, there is also a National Farm Biosecurity Manual for the Poultry Industry, which is applicable, not only meat chicken farmers, but also to egg, duck, turkey, game bird, emu and ostrich producers. This manual can be downloaded as a PDF by clicking here or on the picture on the left. This document was published by the Department of Agriculture and Water Resources and is also available on the departmental website. 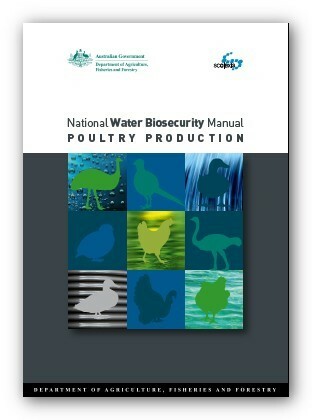 Contract chicken farmers should have a copy of and use the National Farm Biosecurity Manual for Chicken Growers referred to in the previous panel, in preference to this more generic manual. Water used for drinking, cleaning and cooling has been identified as of prime importance to maintaining good biosecurity. Therefore, the Department of Agriculture and Water Resources commissioned a report that reviewed water biosecurity and provides clear guidelines for implementing good water biosecurity systems. This report is available by clicking here or on the picture on the left. A guideline has been developed to assist chicken growers to understand what they need to do, immediately, in the event or suspicion of an emergency poultry disease on their own farm, or if there is an emergency disease on another farm in their region. It is available by clicking on the image on the left or here. 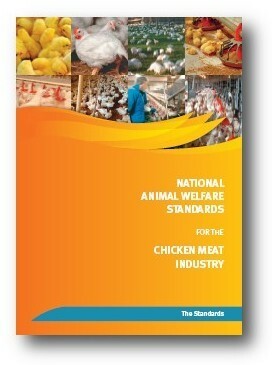 These ‘National Animal Welfare Standards for the Chicken Meat Industry’ (the Standards) were developed to help fulfil both the chicken meat industry’s and the community’s expectations for high levels of assurance of welfare outcomes in chicken meat production. These Standards provide support for existing regulatory frameworks and other quality assurance requirements for commercial customers in the chicken meat industry. These Standards contain provisions based on the “Model Code of Practice for Welfare – Domestic Poultry” and the “Australian Standards and Guidelines for the Land Transport of Animals”, state legislation, international and national guidelines for good welfare practice, current practice and the scientific literature. They provide information for all people responsible for the care and management of poultry reared, transported and processed for chicken meat. In addition, specific industry sector manuals have been prepared in support of these Standards, which contain the Standards and example recording sheets for the purposes of assisting implementation, audit and verification. Australian meat chicken companies currently address issues associated with food safety, meat quality and biosecurity and in some instances animal welfare, using quality assurance systems. The addition of comprehensive animal welfare provisions to these quality assurance systems enables industry as a whole to meet both regulatory and commercial requirements and community expectations. Thus, these animal welfare Standards are intended for incorporation into existing company or industry quality assurance programs. These Standards will be reviewed over time to ensure they remain up to date and present a comprehensive and recommended practice reference for the chicken meat industry. This manual, the ‘Manual for Meat Chicken Farming’, provides the key practical animal welfare guidelines required to be followed for meat chicken farming in Australia. 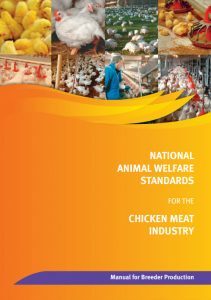 The comprehensive ‘National Animal Welfare Standards for the Chicken Meat Industry’ also contains the information in this manual, together with the full policy objectives and Standards for the whole of industry. This manual for growers provides the key Standards, associated guidelines for the practices under each Standard and example recording sheets by which to implement the Standards. This manual, the ‘Manual for Breeder Production’, provides the key practical animal welfare guidelines required to be followed for meat breeder farming in Australia. The comprehensive ‘National Animal Welfare Standards for the Chicken Meat Industry’ also contains the information in this manual, together with the full policy objectives and Standards for the whole of industry. This manual provides the key Standards, associated guidelines for the practices under each Standard and example recording sheets by which to implement the Standards. This manual, the ‘Manual for Hatchery and Chick Transport’, provides the key practical animal welfare guidelines required to be followed in hatcheries and during chick transport in Australia. The comprehensive ‘National Animal Welfare Standards for the Chicken Meat Industry’ also contains the information in this manual, together with the full policy objectives and Standards for the whole of industry. 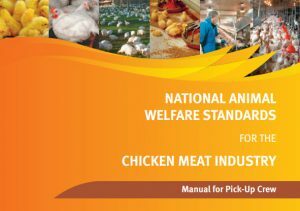 The ‘Manual for Pick-Up’ provides the key animal welfare guidelines to be followed during meat chicken harvesting. provide a mechanism whereby industry participants can demonstrate their compliance with animal welfare Codes of Practice, other relevant legislation and meet the requirements of the owner of the chickens. The focus of this manual is meat chickens. For spent breeders, consult the owner of the birds for additional information. Publications and other tools developed under projects funded by the industry’s levy funded research program, the AgriFutures Australia’s Chicken Meat Program, are available on the AgriFutures Australia website or the dedicated Chicken Meat Program extension site here. A couple of informative and detailed documents have been prepared and published by the NSW Department of Primary Industries. They are excellent resources for anybody who is contemplating building a commercial meat chicken farm or wants to improve the management of an existing one. 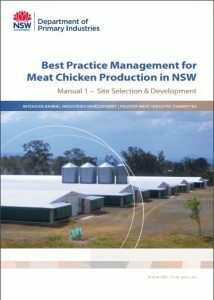 To access the ‘Best Practice Management for Meat Chicken Production in NSW’ and ‘Better Site Selection for Meat Poultry Developments’ documents see here and here. A Code for the establishment and operation of chicken farms in the state of Victoria has been developed. This Code sets requirements for the (a) siting and size of broiler farms, (b) application of best practice in the design, construction, operation and management of broiler farms to satisfy relevant environmental standards, (c) preparation, assessment and determination of broiler farm development proposals through the planning permit system, and (d) ongoing monitoring of broiler farm operations through routine audits. This Code has recently been revised and is available here. An additional resource to assist chicken farmers meet their environmental responsibilities and manage their risks in this respect is the National Environmental Management System for the Chicken Meat Industry, available from the AgriFutures Australia website: click here. The FSANZ Standard for Poultry Meat became effective in May 2012. More information about the development and implementation of the food safety Standard, which covers the on-farm production of poultry meat and forms part of the new through chain food safety Standards that are being developed by FSANZ, is available at http://www.foodstandards.gov.au/code/primaryproduction/poultry/pages/default.aspx and the standards themselves are available here. State food safety regulators are responsible for ensuring implementation of these standards. For information on requirements at the state level, please visit the website of the food safety regulator in your state. These are listed in the links section below. The latest published version AS 4465: 2005 published in 2006 is available for download here. Part A of this Standard applies to the construction and equipment of all processing premises where poultry are slaughtered for the production of poultry meat for human consumption. It contains the minimum construction requirements for premises used for the production of wholesome poultry meat. Part B of this Standard applies to the hygienic production for human consumption of products derived from poultry. However, it does not apply to the retailing of poultry meat. Interim guidelines endorsed by the Communicable Diseases Network Australia are available to download as a PDF. These guidelines are available here. The current version of the Australian Code of Practice for the Welfare of Animals – Domestic Poultry underpins animal welfare regulations relevant to meat chickens in all Australian states and territories. The current version of the Code is available from here. Australia is currently revising and updating the provisions of this Code of Practice and replacing it with a set of poultry welfare standards and guidelines. Animal Health Australia (AHA) has been appointed by Australian governments to manage this process. For an update on progress towards the development of these standards and guidelines, see here. 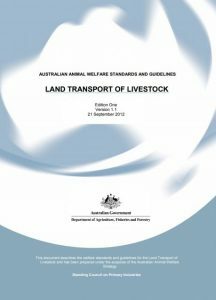 The requirements for ensuring the welfare of poultry during transport that are embedded in state and territory legislation are based on the Australian Animal Welfare Standards and Guidelines for the Land Transport of Livestock. These standards and guidelines can be downloaded here.